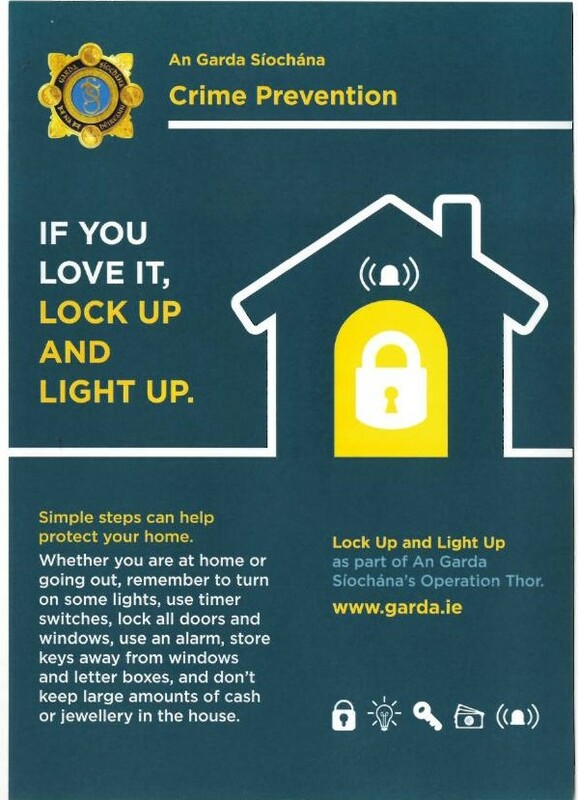 Blackrock Community Garda have notified MMRA of two male youths in Hi Vis jackets going house to house acting suspiciously in the Dundrum area. Please always check callers before opening your front door. 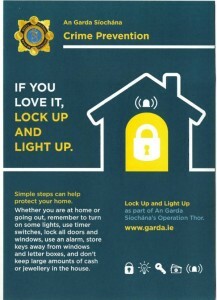 Please secure your home if you are going on holidays.